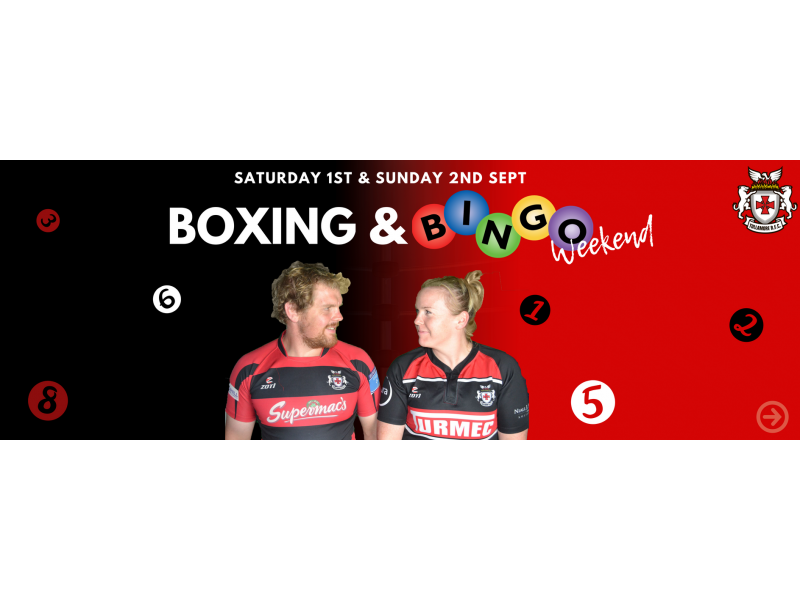 The weekend kicks off on Saturday night, as some of our senior men and women, along with a couple of coaches go head to head in a purposely built boxing ring (rather than in a scrum). After they've 'knocked the lights' out of oneanother (all in good fun), there will be live music and a full bar, followed by a DJ til late. Tickets cost €20 and can be purchased from Spar Bridge St, Spar Church Road, Aura or on the gate. Strictly over 18s after midnight. If a less adrenaline but equally competitive sport is more your scene, then make sure to join us on Sunday afternoon as we host BINGO with a prizefund of €7,000! Doors open at 2pm, Bingo starts at 3:30pm. All welcome.